Delivery in Mallorca, Ibiza and Menorca: 24h. from Barcelona and Valencia(*). | 48 h from Madrid. Canarias Express: collection until Thursday, delivery between Monday and Wednesday the following week. Additional 48 h for Lanzarote, Fuerteventura, La Palma , Gomera and Hierro. 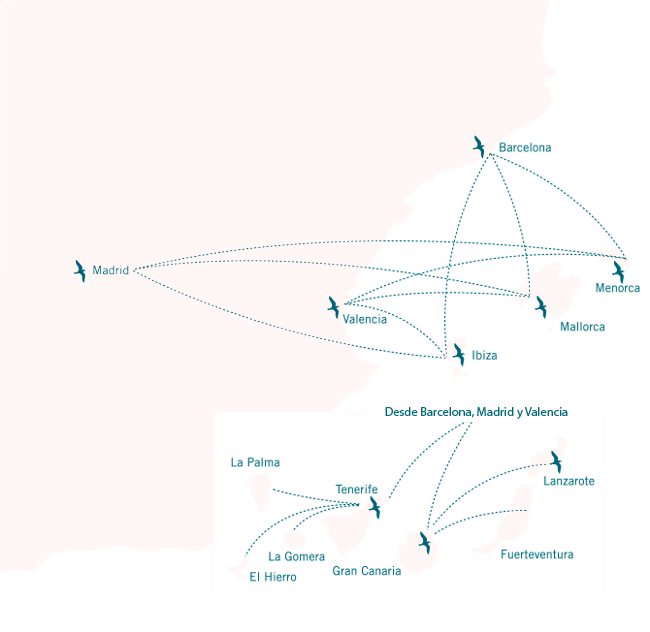 (*) Weekly service from Valencia to Menorca. Delivery in Mallorca, Ibiza and Menorca: 24h. from Barcelona and Valencia. (*) | 48 h from Madrid. Canarias Express; collection until Thursday, delivery between Monday and Wednesday the following week. Additional 48 h for Lanzarote, Fuerteventura, La Palma , Gomera and Hierro. * Weekly service from Valencia to Menorca. With more than 20 years of experience, Guillén provides quick, efficient and reliable service connecting Spain’s mainland and the Islands.The close collaboration with the main shipping companies in the country in combination with Guillén’s own extensive fleet of trucks and warehouses, guarantee the best service possible for any kind of cargo.